The manoeuvrability of your craft. How busy it is on the water around you. 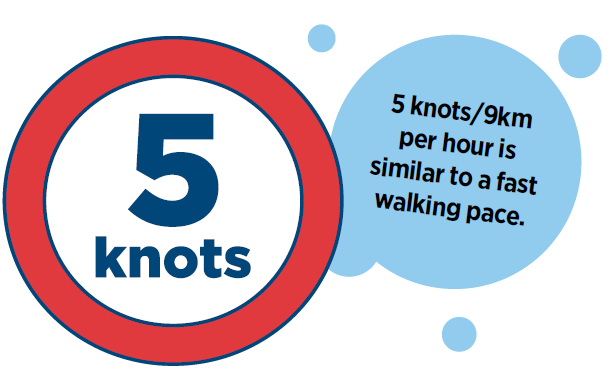 Remember the 5 knot rule. Within 200 metres of the shore or a structure. Within 200 metres of any vessel flying the International Code A Flag, for example, a dive flag. Within 50 metres of another boat, raft or person in the water. When the boat has anyone at or on the bow, with any portion of his/her body extending over the fore part, bow or side of the vessel.